La Herradura is a small village belonging to Almuñécar, with no more than 4000 inhabitants. It is one of the few remaining unspoilt villages on the southern coast of Spain and offers a truly Spanish experience. What was once an old fishing village is now the envy of other coastal towns in the area. La Herradura presents a typical aspect of whitewashed buildings climbing the gentle slopes of a small hill leading up from the beach. The village is situated around one of the most beautiful bays along the south coast of Spain. The name, La Herradura (The Horseshoe), comes from the shape of the bay it overlooks and enjoys over 2 kilometres of beach. On the eastern side of the bay is beautiful Punta de la Mona and on the western side is the dramatic outcrop of the Cerro Gordo, declared a natural park in the 80’s due to the fauna and vegetation interest. From Cerro Gordo to Maro, where the natural park ends, you will enjoy not only the rare vegetation and impressive landscapes, but also the most beautiful and clearest beaches of the area. Many of these beaches frequently appear on top ten lists of beaches in Spain. The mountains that sit just beyond this pretty village have many tracks for cyclists, hikers and for horse riding, all amongst the most stunning scenery. Traditionally this hidden gem relied on fishing and farming for its revenue and thankfully, although there has been expansion over the years, the charm of the village remains. Unlike almost anywhere along the coast, development in this area has been restricted in height and you can still enjoy the contours of the natural setting. The stunning bay is sprinkled with charming Spanish restaurants and small friendly bars that will make you feel at home. You must try one of the traditional tapas bars, the province of Granada is the only province where you are guaranteed a free “tapa” with a glass of wine or beer, an old tradition of serving food with a drink which may be fresh fish, ham, cheese, or meats etc. There is a wide variety of restaurants in La Herradura to cater for most tastes. The village has all the essential shops, banks and services you might need. There are plenty of things to do here when you are not in the saddle. 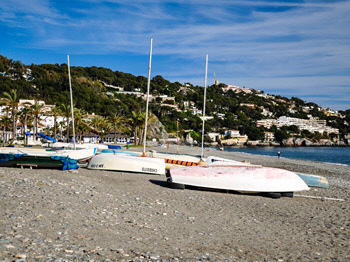 Watersports are very popular and there are numerous businesses offering different types of courses and equipment to hire in La Herradura. Divers and snorkelers will find surprisingly good conditions and sites with lots of underwater pinnacles and a wide variety of species. Other watersports include kayaking, which allows access to some of the tiny coves and beaches that only can be reached by water, paddle boarding, Hobie Cats, sailing, surfing and much more. 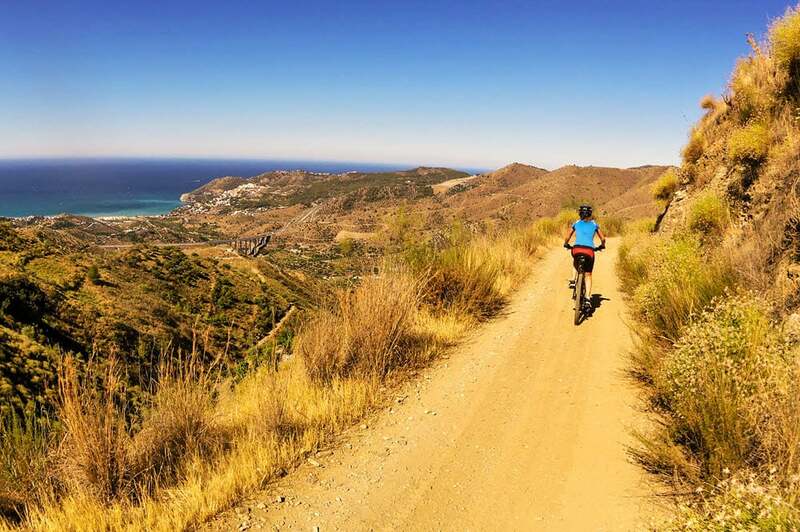 The area is also perfect for canyoning, paragliding, walking and horse riding. Within 80 minutes you could be in the ski resort of Sierra Nevada. It offers 126 slopes from December to April. Costa Tropical is one of few places where you can have breakfast on the beach in the sun, go skiing all day and return for a swim and a sundowner on the beach in the evening and witness the amazing sunsets. 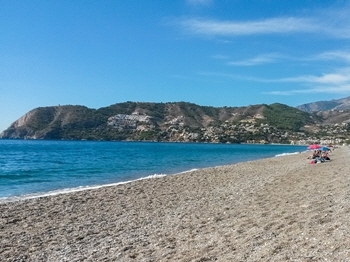 Within 1 hour drive from La Herradura, you will find two major Andalusian cities, Málaga and Granada. Granada, located north of us, is like 5 cities in one and the soul of southern Spain. With world-renowned attractions such as the Moorish palace of Alhambra, the neighbouring Albaizín and the Sierra Nevada mountain range, Granada provides visitors with an incomparable cultural and historical experience. The city of Málaga enjoys a dreamy position on the Costa del Sol. In addition to perfectly sunny beach weather in summer and winter, the city offers a sum of museums and other cultural happenings, a vivid nightlife and bar scene and some great shopping districts.